Here at Brians Firewood Washington Dc, we offer high quality hardwood to meet your firewood needs. Upon request we can even bring it straight to your wood rack. Stack it neatly and have you ready for a roaring fire any time of the year. We guarantee our wood is easy to light and long burning by using specialized equipment to test the moisture content within the wood. All the wood we sell has a moisture content less than 20%, the ideal limit for the best burning wood. Whether you burn wood in a fireplace, stove or furnace, good quality firewood is the key to convenience, efficiency and safety. 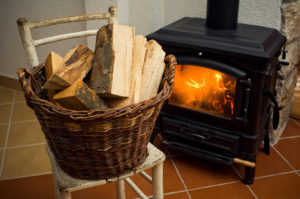 Wet wood and pieces that are not the right size and shape for your wood burner can be frustrating, burn inefficiently and deposit creosote that can fuel a dangerous chimney fire. Good planning, seasoning and storage of the firewood supply are essential to successful wood burning. For help on how to properly store your firewood, contact us today, and we’ll be more than happy to offer a few tips on how our customers successfully keep their wood dry and ready to use. We offer only the best hardwoods to all of our customers. Our wood is sourced from our local logging operation, which provides only healthy hardwoods. Using locally grown hardwoods, we reaffirm our commitment to sustainable use of our natural resource. Our firewood is available in accurate measures of full cords, and this we can guarantee. Each full cord of wood we sell is properly prepped and ready to burn. Call us today about firewood delivery Oxon Hill 20744. All our wood is seasoned hardwood and we guarantee it to be ready to burn. In the rare event that is not, call us and we will help. What does seasoned mean? It means the firewood you receive was cut last year and has had time to dry out. Properly seasoned wood will produce the most heat and the least creosote, and this is what we provide for our customers of Accokeek Maryland. We promise to offer the highest quality, and well seasoned firewood for sale in Accokeek Md 20601. Convenient delivery and stacking is available by our courteous and dedicated team. Have you ever ordered wood from a firewood delivery service, only to feel like you didn’t get as much wood as what you paid for? When you choose Brians Firewood Washington Dc, You do not have to worry about not receiving a full cord. Why? To us it’s simple, you say you need a full cord of firewood, and thats what we will deliver every time. Without complications. You order a cord of wood from Brian Washington, we bring a full cord. So many suppliers bring wood by in a pickup truck or give you by the load or estimate how many cords the wood is. When we bring wood out we Guarantee 8′ by 4′ by 4′ or We Will Refund the Difference. Here at Brian’s Firewood Washington Dc we have been selling and preparing firewood for over 35 years! As a company with years of experience we are dedicated to our customers satisfaction. We know what our clients needs are and how we can fulfill them by always delivering our best services. You are guaranteed superior customer service, ultra premium firewood, and a hassle free delivery process. If you have been looking for a reliable, locally operated firewood company, choose us, Brians Firewood Washington Dc, is ready to deliver your desired amount of firewood to your chosen location. Honest & Hardworking people who sell great firewood at an amazing price!